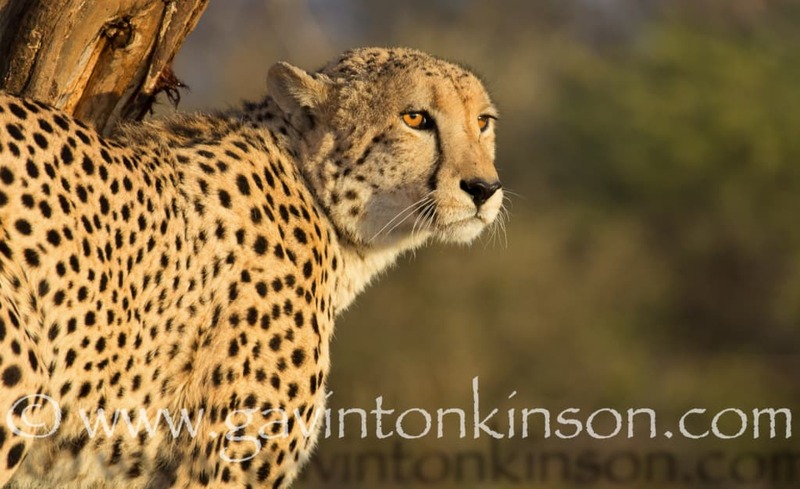 Welcome back to our monthly wildlife report…. 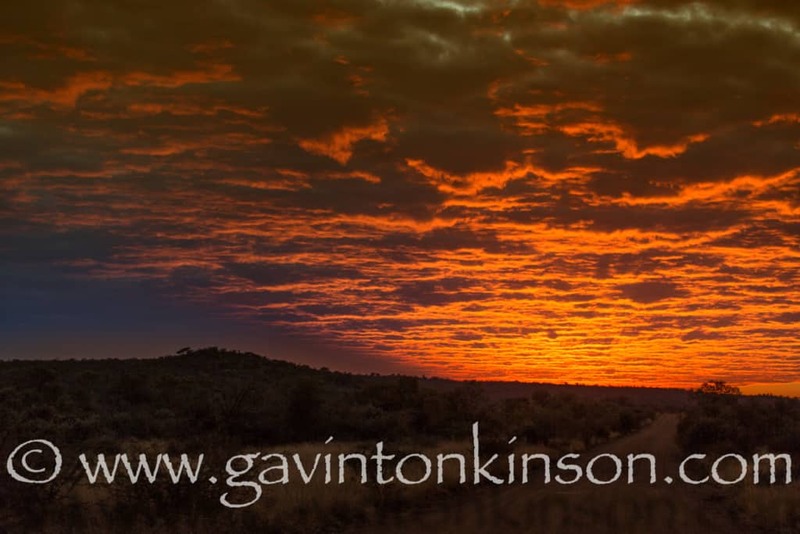 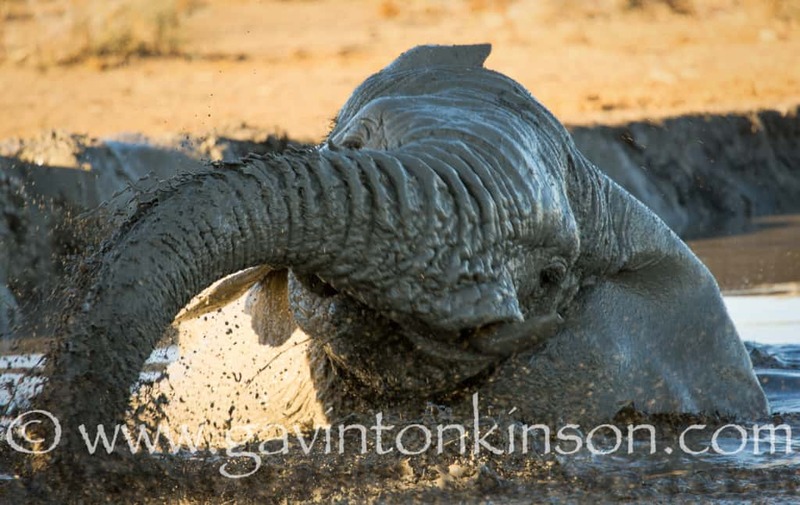 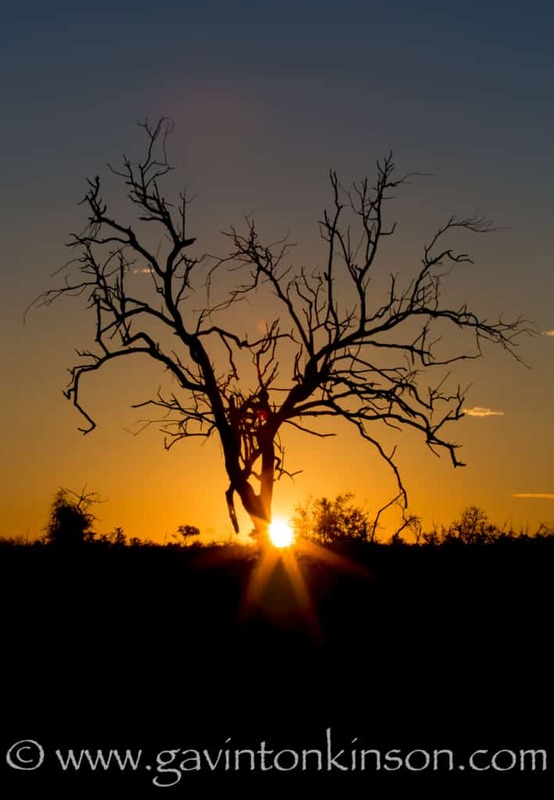 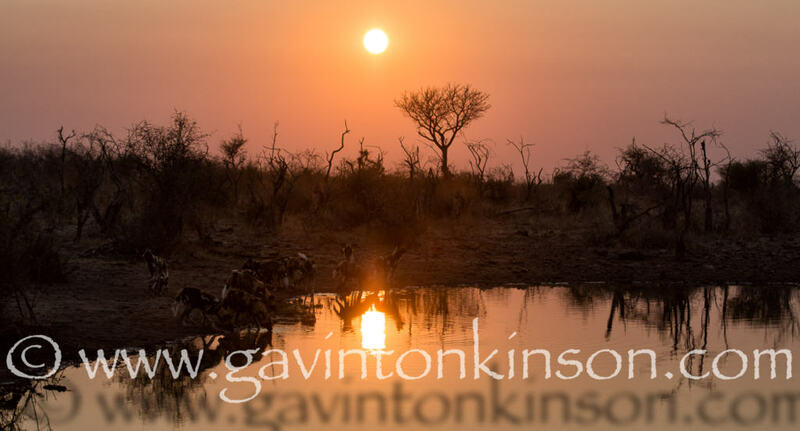 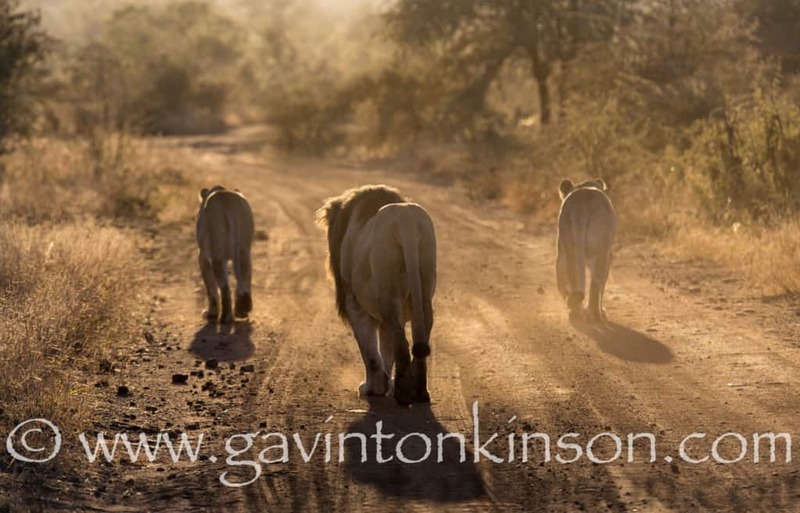 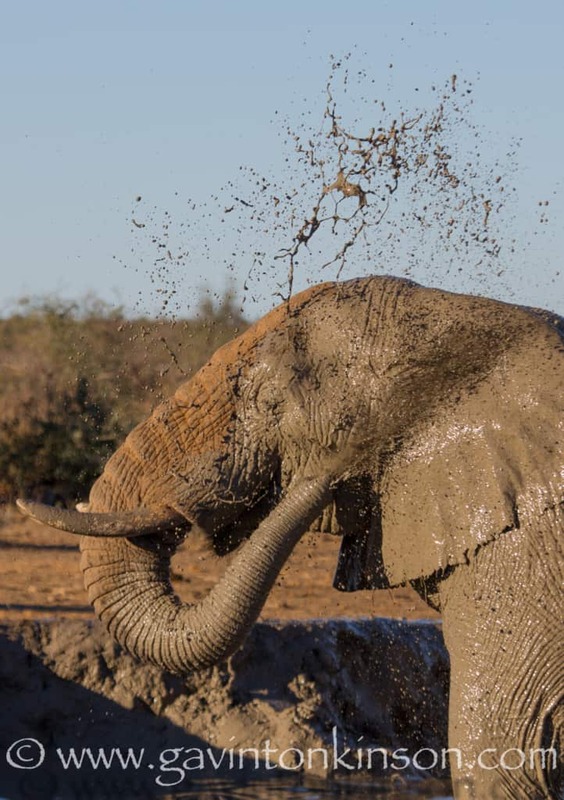 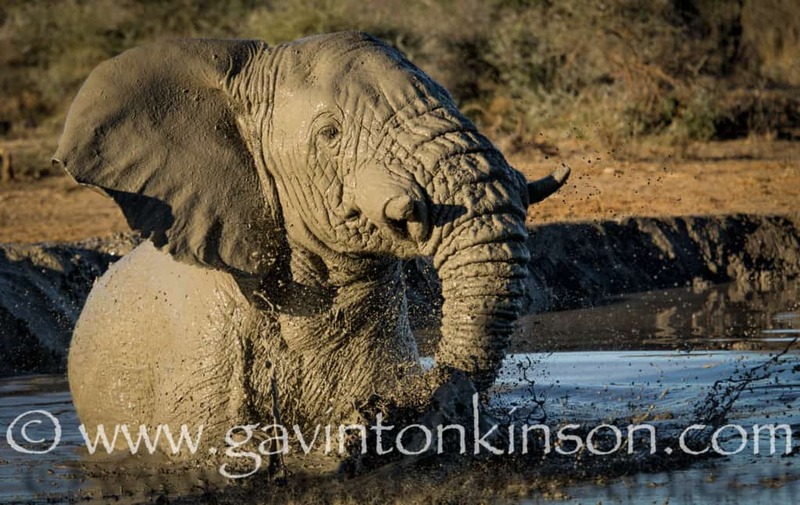 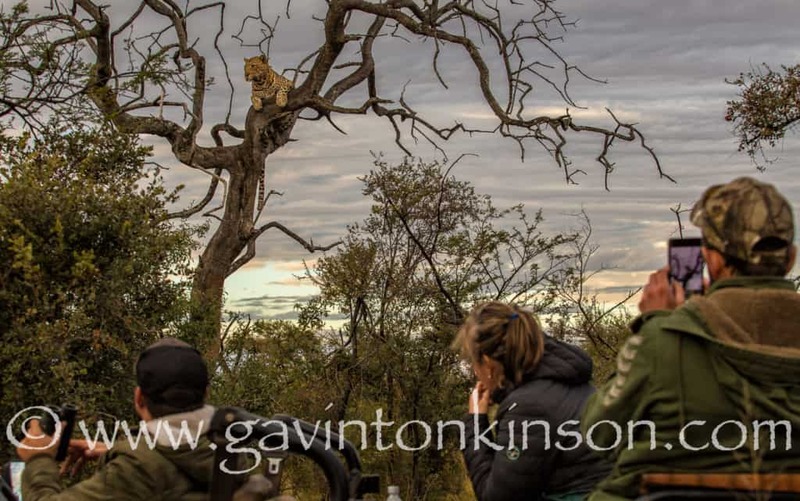 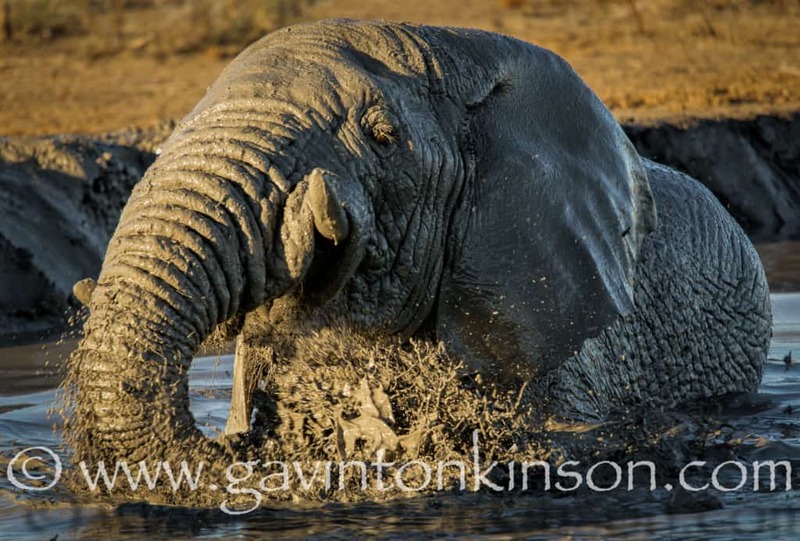 This month has seen the true colors of winter kicking in to full swing, as the bush thins out and waterholes become the place to be during our safaris out here in Madikwe. 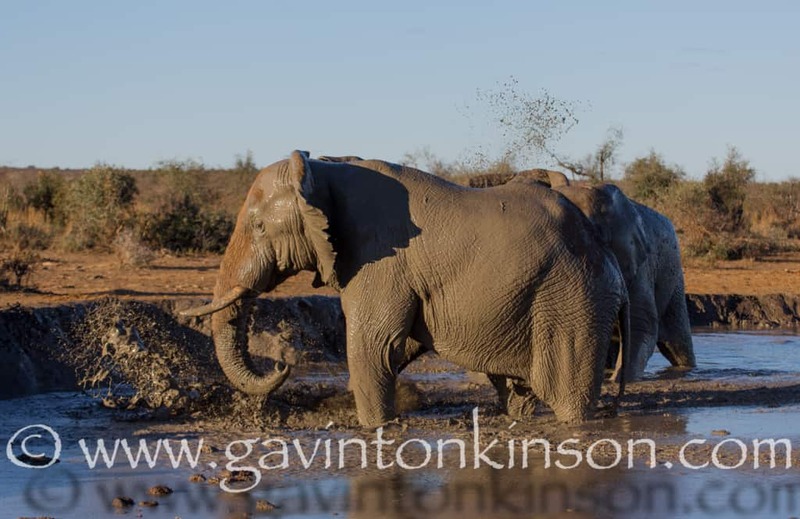 Lets start with a group of Askari’s that even with a mild temperature in the air, could not resist the temptation of that “Feel good all over “ feeling and had a mud bath just meters from the vehicle, provided a spectacle for our guests which they will never forget, after having to wipe some mud off of them as the elephants went wet and wild in the waterhole. 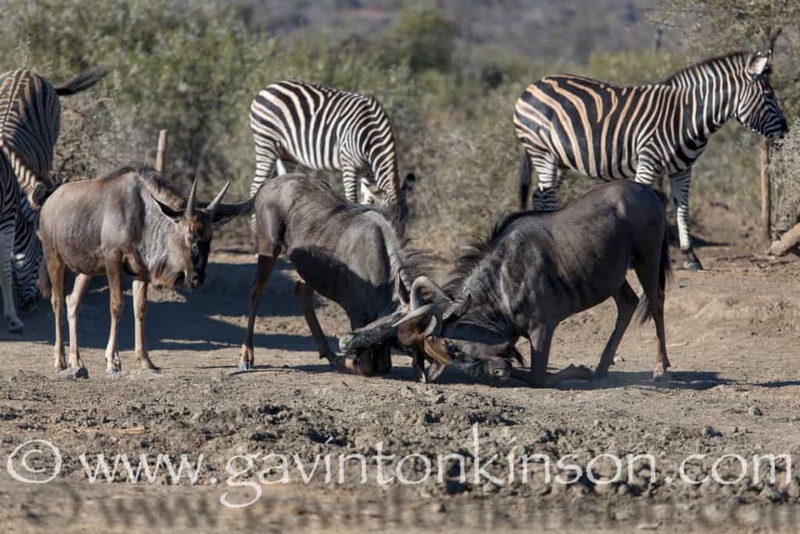 Another good spot to visit this time of the year is the “Mineral hotspots” which are certain areas in the park which all ungulates are drawn to, to ingest the soil which gives them minerals such as calcium, magnesium and sodium which they don’t get out of the vegetation that they eat in the winter months. 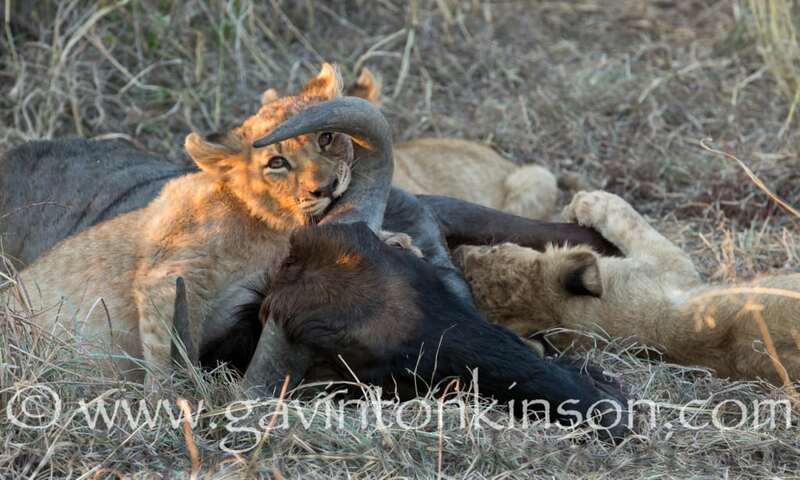 It is also a social get together usually later in the mornings, when they know that the predators are sleeping. 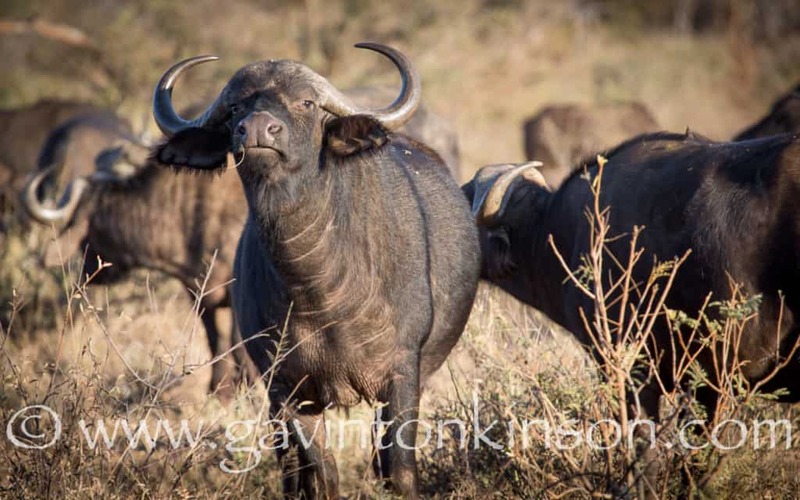 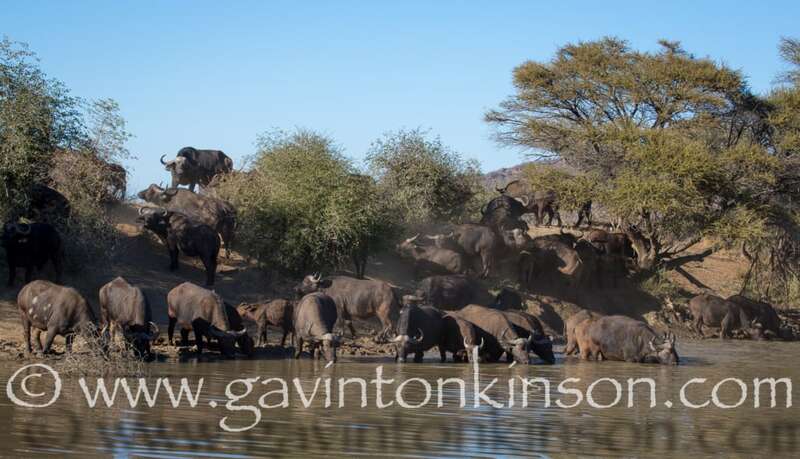 The bigger herds of buffalo are also forced from their habits of living in the thickets to come out to the waterholes more regularly, and will get your creative juices flowing while trying to at least capture some form of emotion from these gnarly beasts. 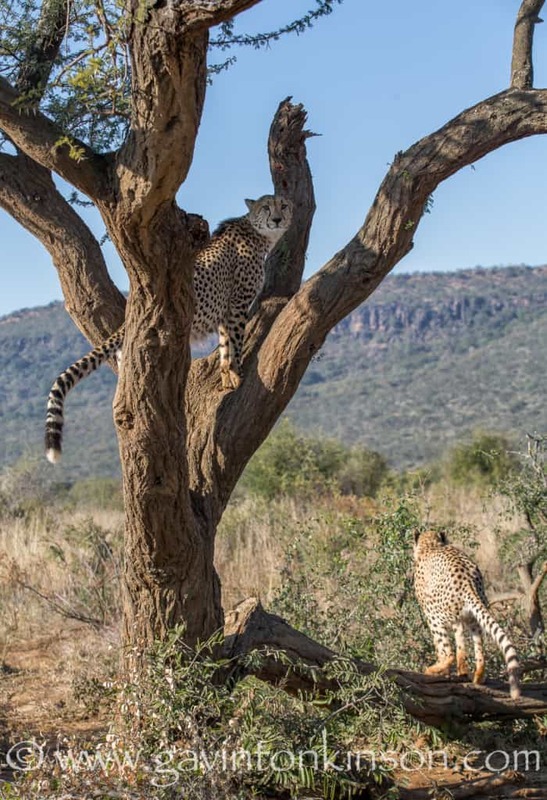 The cheetahs in the park are still doing well, and the 3 females which were recently released, are also doing well, and are still proving that they are doing well in a wild environment which they are not accustomed to from where they came from. 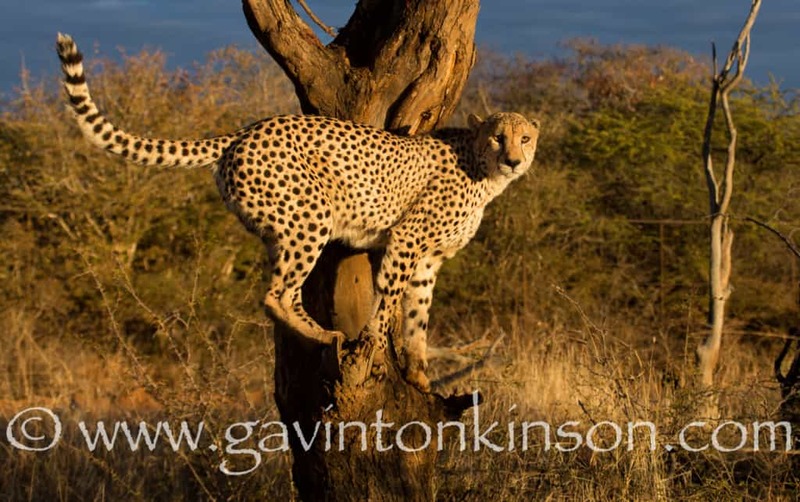 The boys as always have given us some awesome sightings this month, and have been more active in marking their territories and making sure that every prominent tree that they bypass gets a fresh dose of cheetah “business card”. 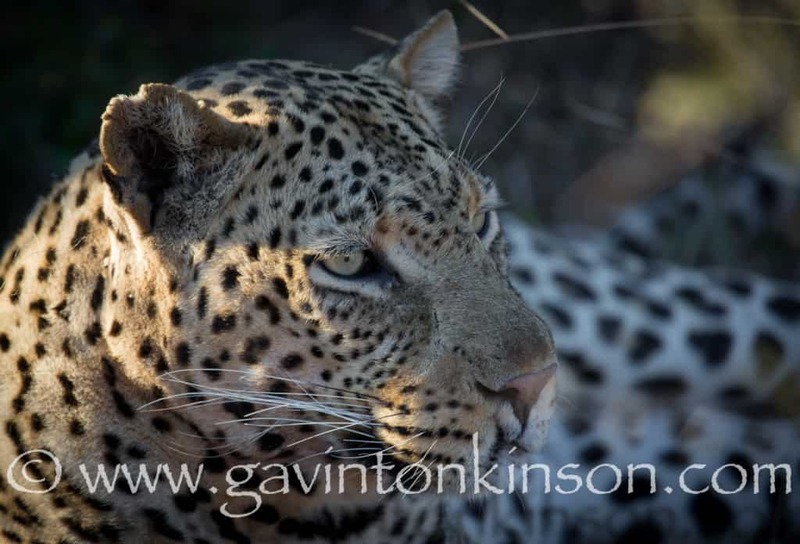 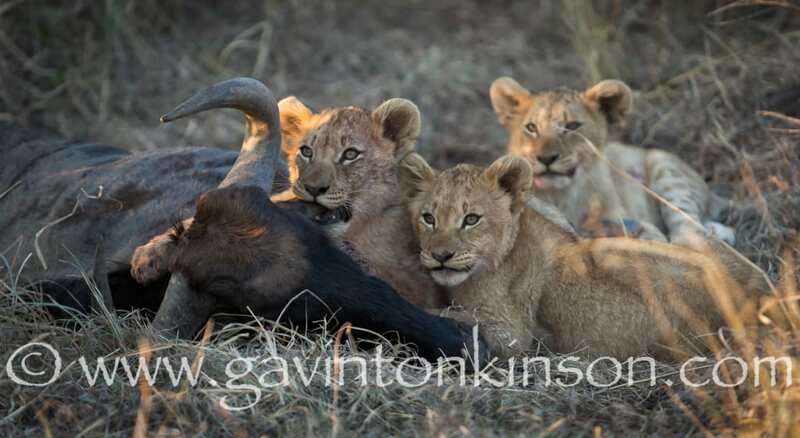 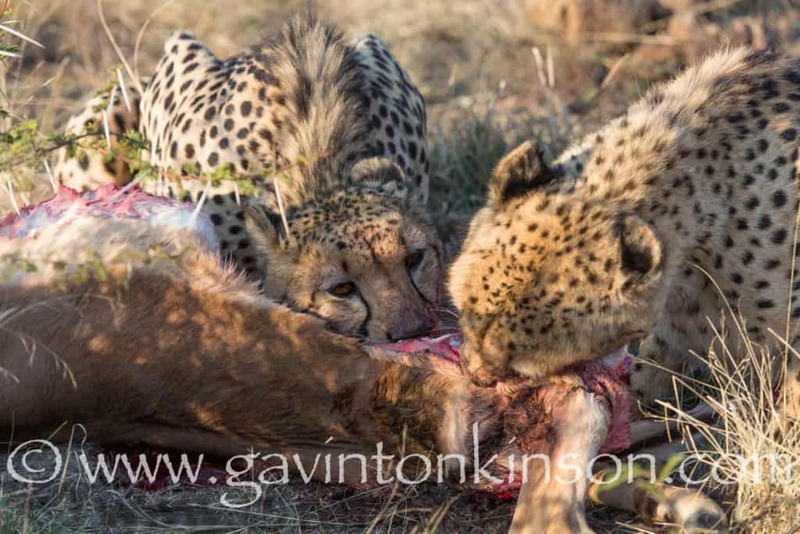 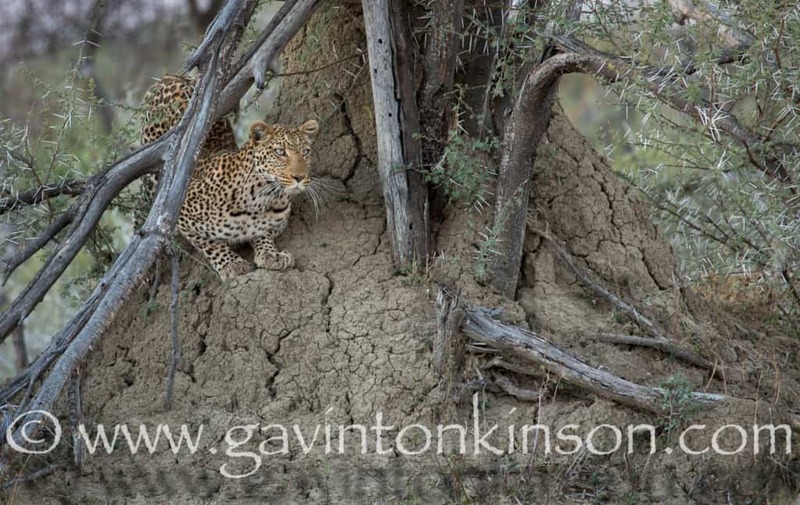 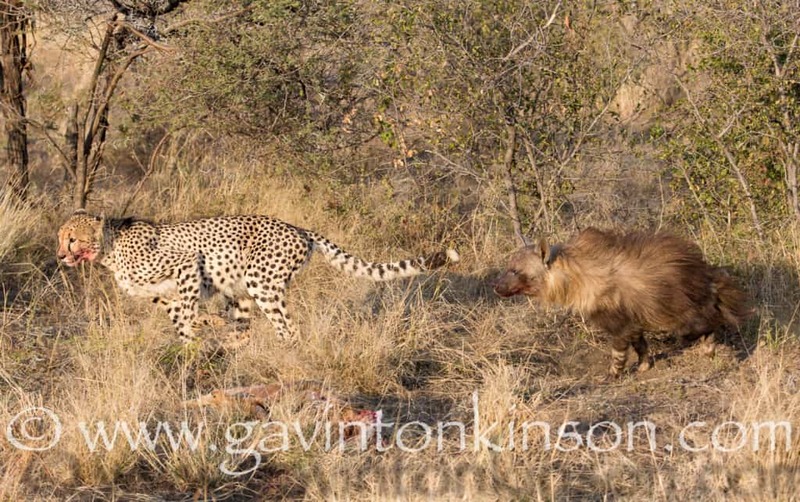 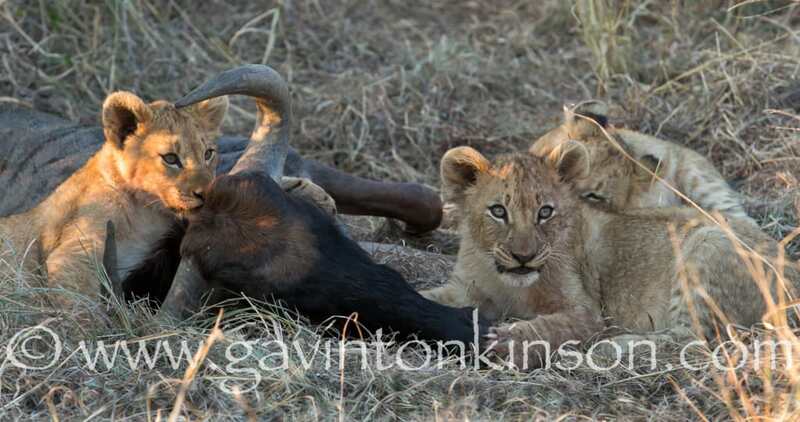 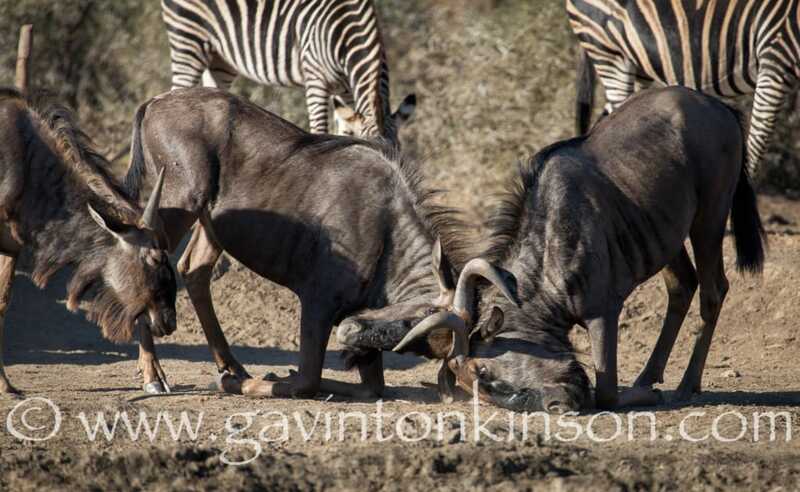 On one occasion we had an unbelievable sighting, after we found the 2 south boys shortly after killing an impala ram. 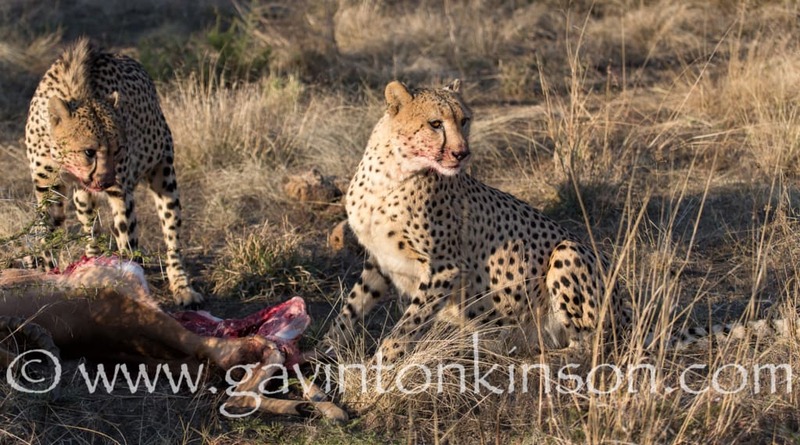 They were peacefully eating for around 30 mins before they started staring to the bushes beyond, and then continued eating frantically. 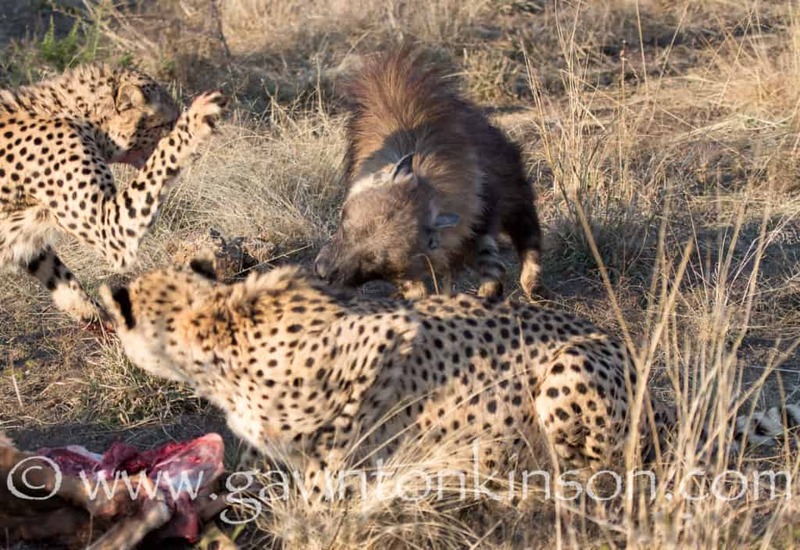 This could only mean one thing.. a threat was on the way… And sure as it was, a brown hyena pitched up on the scene, and what happened next was something that us rangers live for on a daily basis out here, to be able to capture the interaction between different predators on camera. 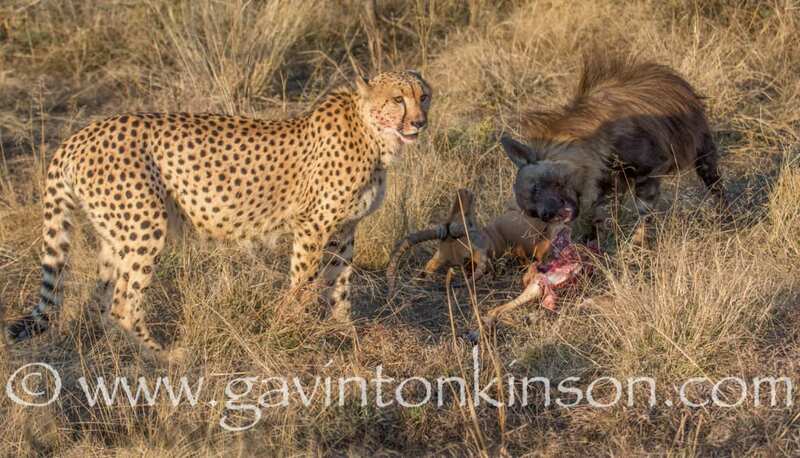 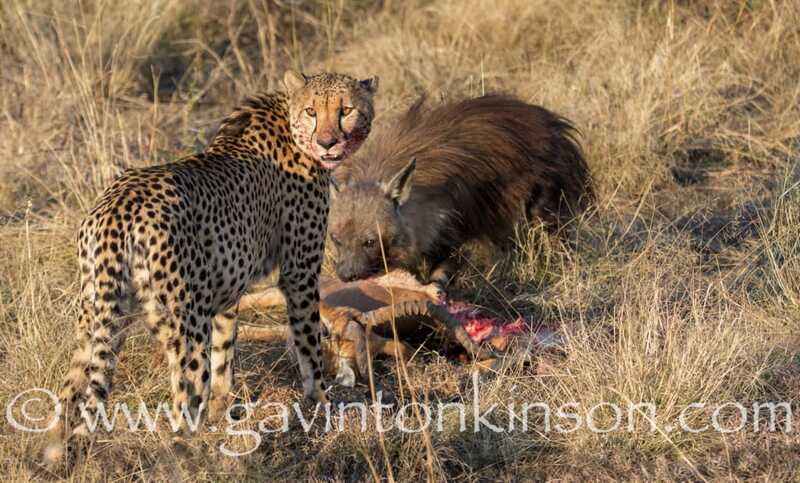 The brown came in with a confident gait, and went straight in for the carcass, and on arrival, the hissing cheetahs could only but take a not so confident swipe at the marauding thief. 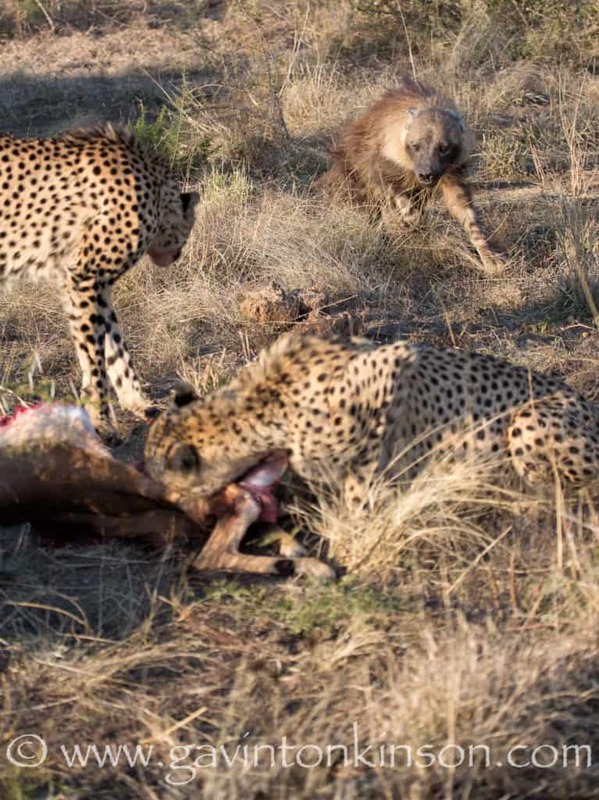 The cheetahs gave up the carcass to the stronger bodied enemy, but tried once or twice more, but to no avail as the brown clearly thought this would be his early Christmas gift from the cheetahs ….. thank you very much !! 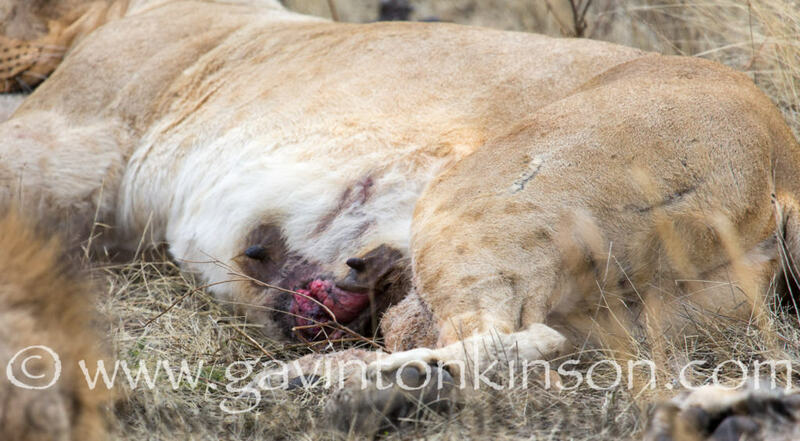 The apex predators in the park have been doing not so well, as we discovered that the Bolakega female from the north pride had an injury to her underbelly, which we think could have been caused by a horn of one of the prey animals she could have hunted, which had caused a gash between her teats. 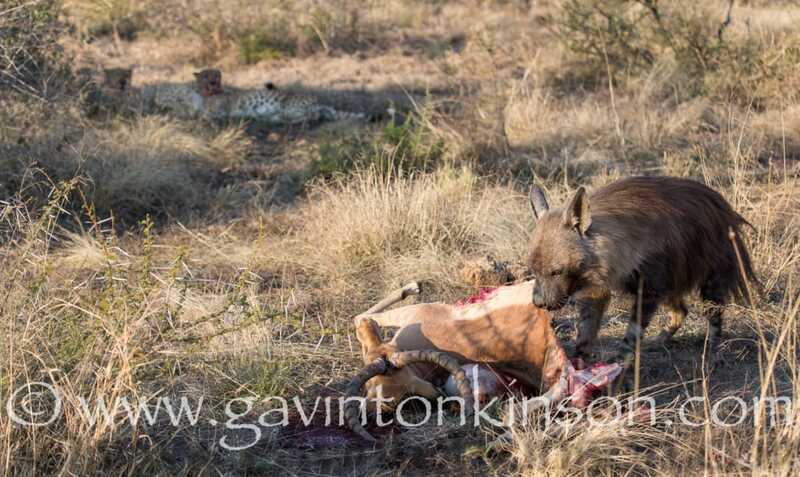 This was obviously not good for her, as she had some difficulty feeding her cubs, and she was not enjoying the discomfort. 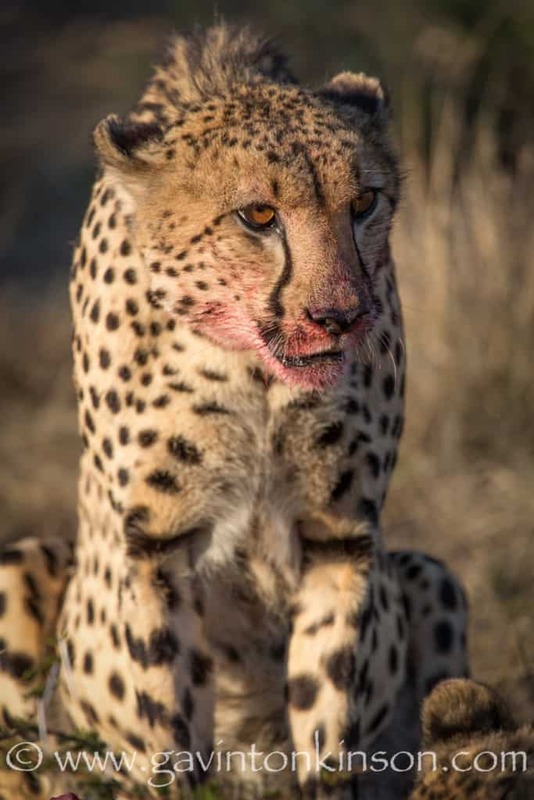 She has however made a good recovery from the injury, and seems as if it is healing nicely. 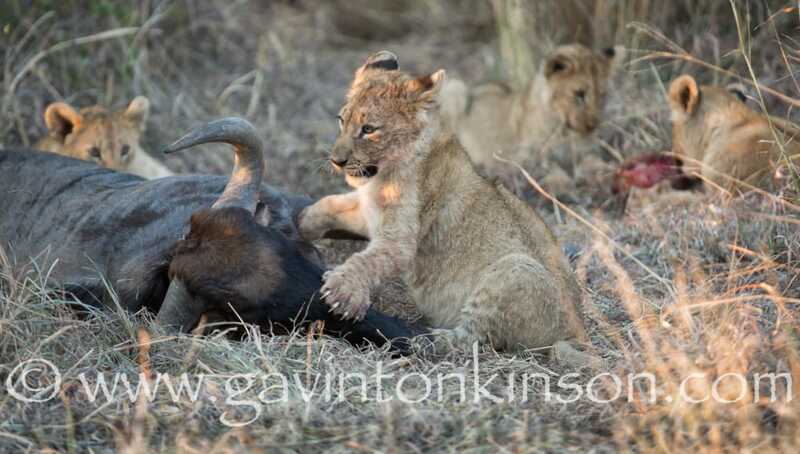 The cubs have also given us some amazing sightings this month, especially around carcasses, as the cubs are exercising those muscles, to be able to kill like their mom one day. 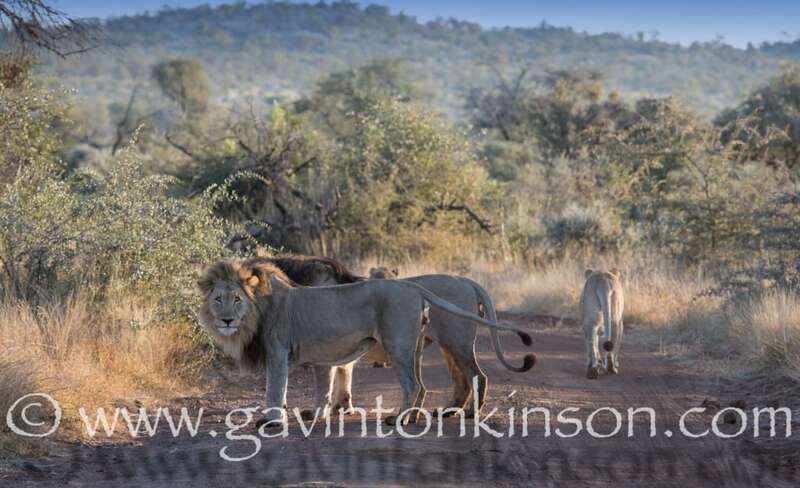 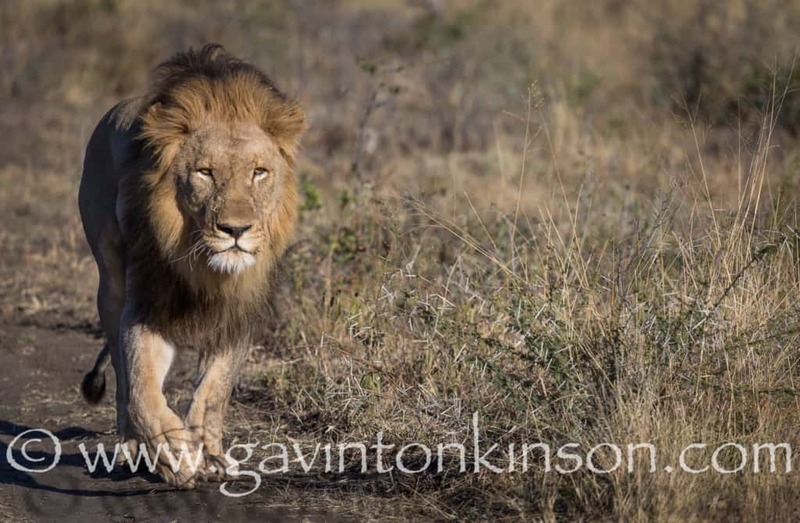 The south pride have been split up somewhat, due to the pressure from the 2 males from the east wanting to enter and disrupt the 2 remaining Chimbro males cushy lives. 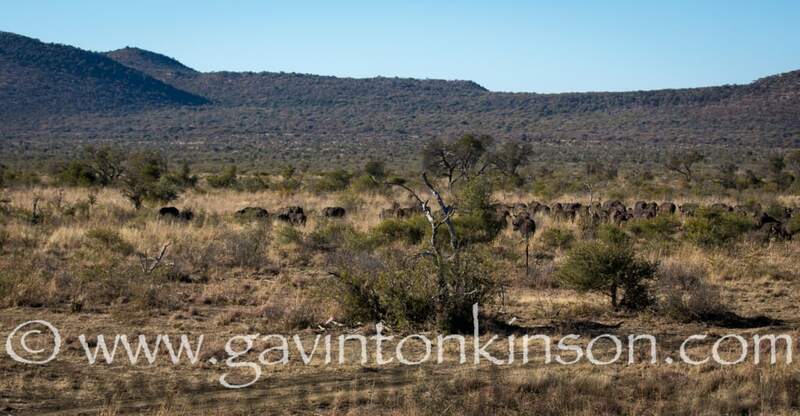 However they were surprised when one evening the Chimbro males had enough of the tormenting brutes from the east, and chased them back to the deepest part of their territory and since then it has been quiet on that front. 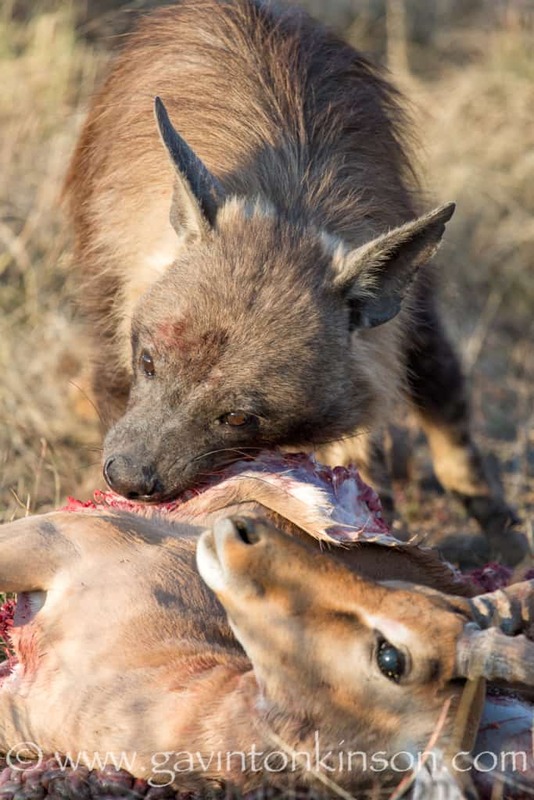 The wild dogs have been very scarce this month, and we have had no sightings of them being due to the fact they have a den site deep in the mountains in the east of the park, and their modus operandi is the following….. 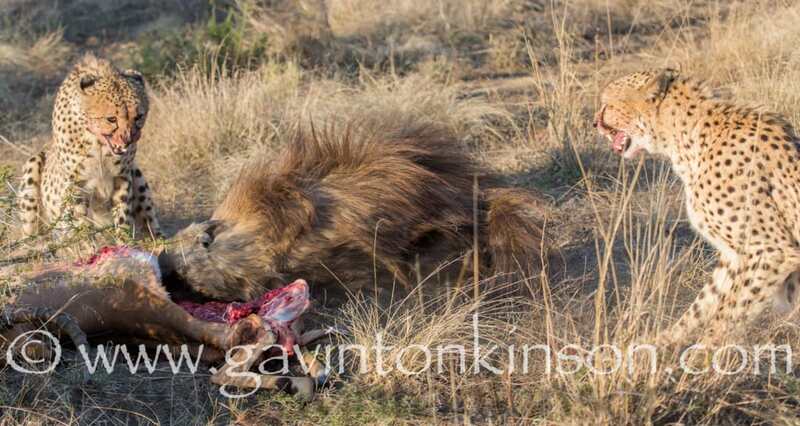 They are coming down very early in the morning to hunt, they kill, they return to the den, so if you are not there to catch them coming or going back to the den, your chances are slim. 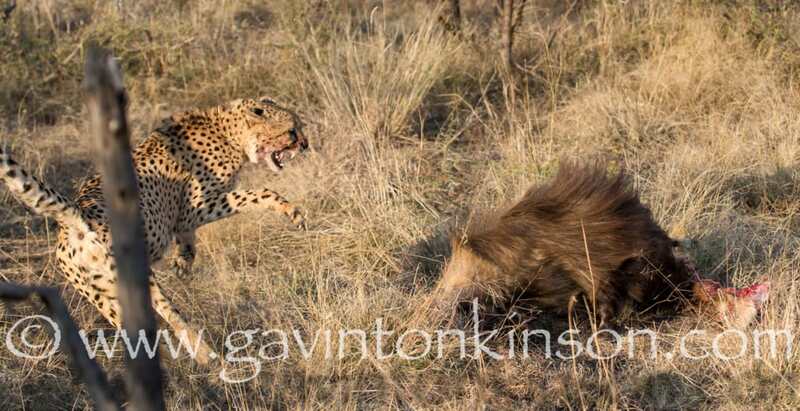 But we are looking forward to the day when they bring the puppies out for their first run. 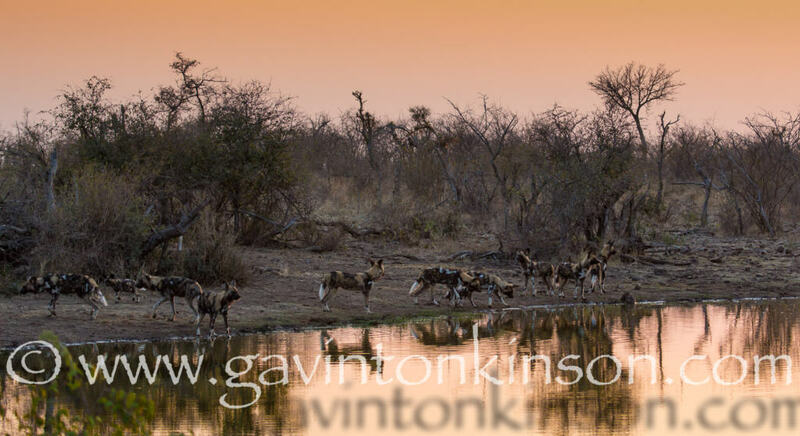 And on this glorious morning they showed us that they have 2 pups. 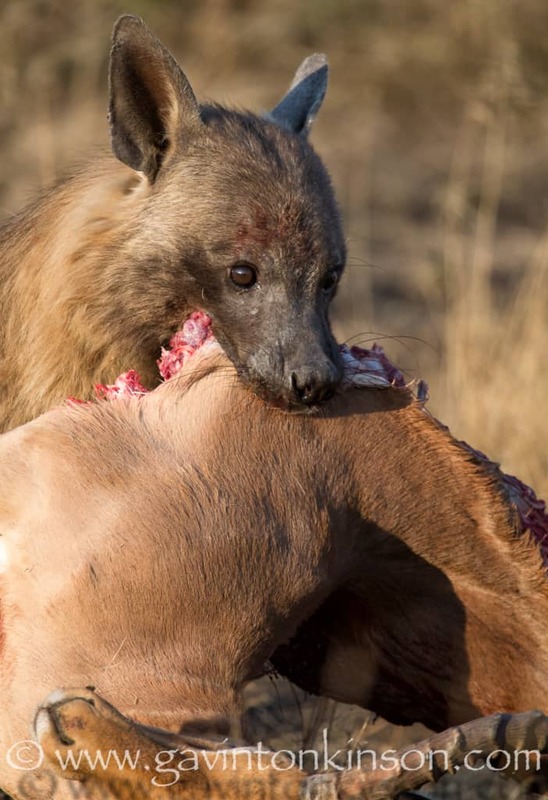 Apparently, there were reports of 9 pups at one time, but something must have happened, and now the result is only 2 left for this years litter. 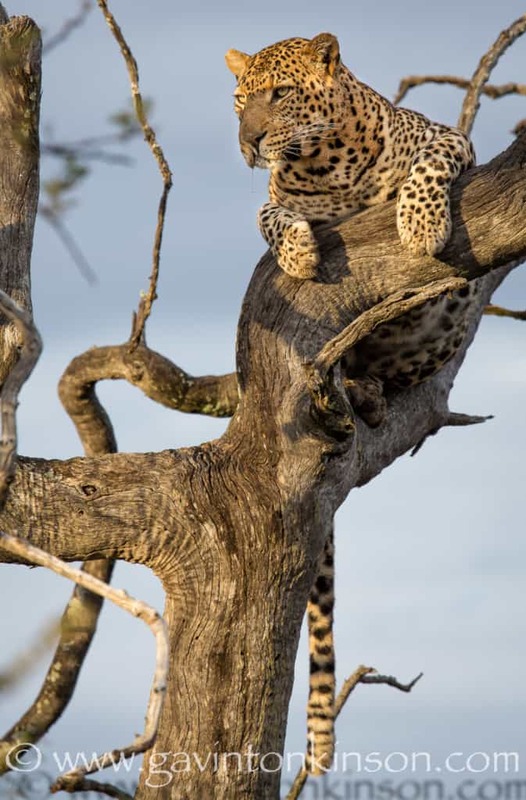 The leopard sightings have been getting better and better every month, as Munye and Tsala, and Tshimegha have been appearing often. 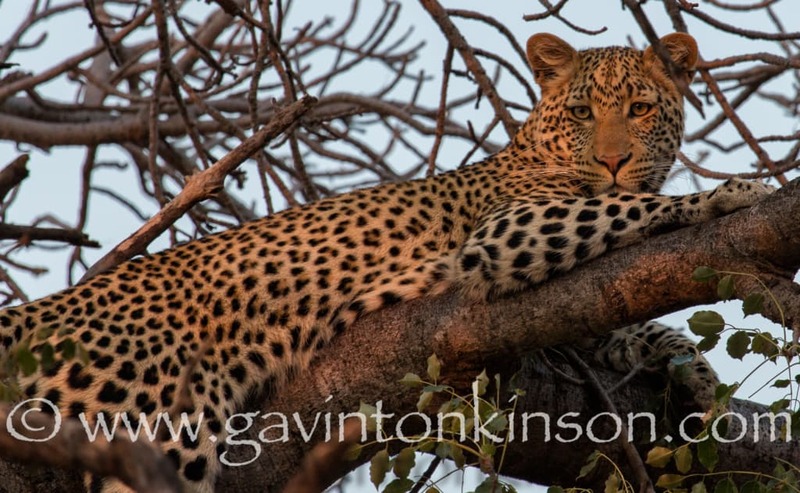 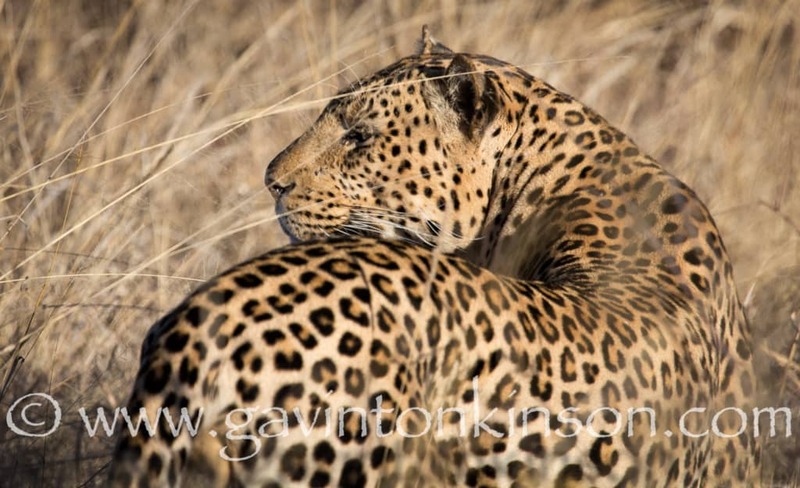 There are also more and more reports of relaxed leopards coming from all over the park, and is proving that we are doing something right in here to habituate these normally shy creatures. 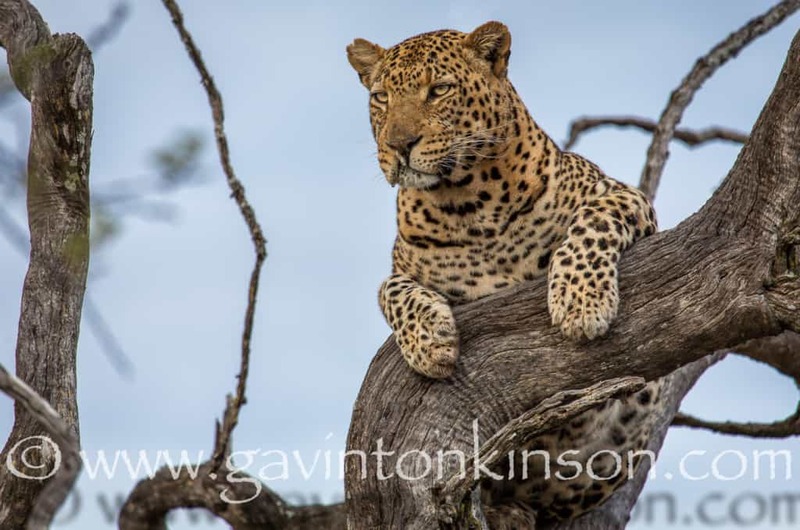 So… I think this months’ newsletter should get you wondering if you should get your bags packed for TUNINGI SAFARI LODGE AGAIN…… So get busy and book soon…. 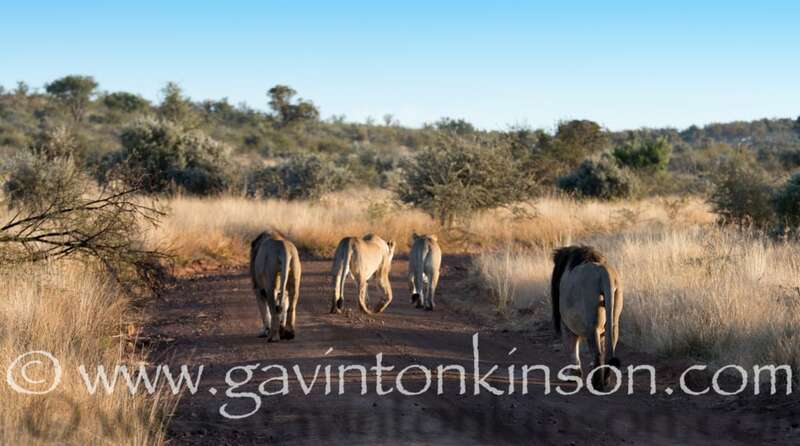 Wishing you all the best from Gavin and the T-Team. 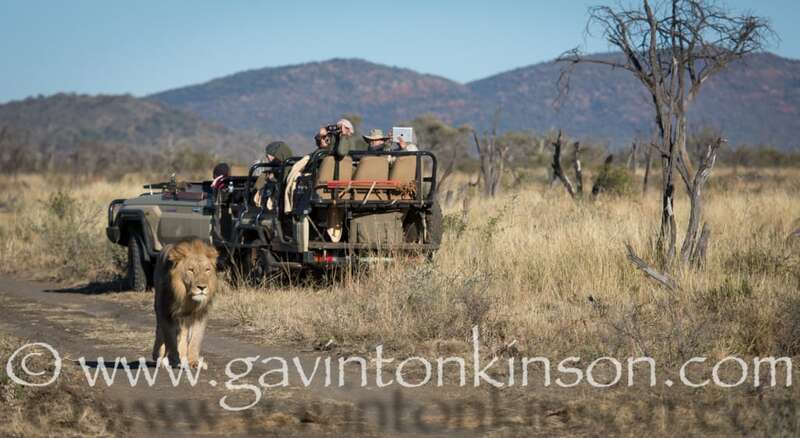 Situated in the Madikwe Game Reserve, Tuningi Safari Lodge offers guests superior accommodation enhanced by an impressive ‘Big 5’ safari experience.